For four years, the sister act of Vicky and Nikoleta Lirantonakis have been bringing their love of fashion to Boston and beyond! 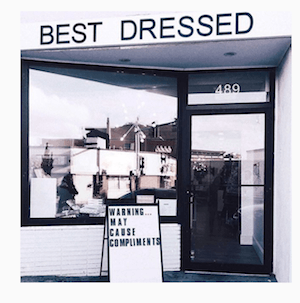 Their shop – Best Dressed – offers a curated selection of designer dresses in various styles and sizes for rent. Perfect for your upcoming spring special occasion! They also offer handbags and jewelry for sale to complete the look. Founded in 2015, Best Dressed opened its South Boston location back in the fall of 2016. Happy Birthday! Make sure to follow them on instagram!